Google search has always been the great equalizer in website traffic. Because of Google+, the more attention and authority you have with other people the more traffic you get. To drive traffic to your site you need to connect through this relatively new social media platform. A critical type of Google search–”personalized search”–essentially makes Google+ the new Google search engine. This happens in a couple of ways. If, for example, you’re following a Google+ page related to your profession and you search for a related keyword, that page will appear higher in your results. If you share a page you’ve published to your site on Google+ and someone you’ve circled searches on something related to your post–on any Google product–your page will rank higher. 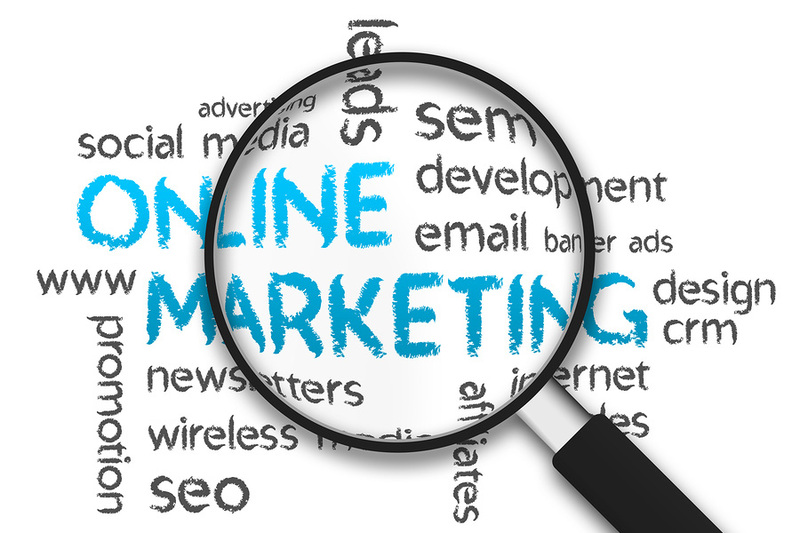 Online marketing isn’t so difficult. All you have to do is get the right people’s attention, direct them to your website and begin building their trust. The following are some great ways to do just that. Listening to your customers is the first thing you need to do. While this isn’t just a tactic, listening can take on several forms that many marketers don’t employ. For example, sending occasional one to three-question questionnaires can get a lot of information on who your customers are and how they think. You can also ask customers if they’d be willing to give you an opinion about your website’s look or operation in exchange for a small discount. While this is an investment, it can be a very good one when you substantially increase your conversion rate. Blogging on a regular basis is a good thing. You don’t have to blog every day, but doing so one to three times per week is considered the gold standard. This way the search engines will always have something new to index and a visitor to your site will have plenty of interesting things to read. If you’re a marketer, chances are you’ve read an article on how Facebook, Pinterest, LinkedIn, or Twitter can be used to reach consumers with advertising messages and build communities of loyal followers. But if you’re interested in getting your brand more involved in social media, first get to know some of the alternative options out there that could be a better fit for your business. Reddit is an online community where users share news, photos, interesting and obscure pieces of information, along with their own personal stories and opinions. Redittors can post links in various “sub-reddits” (categories such as /r/pics or /r/music), and if their post receives enough up-votes from other users it may make it onto the “front page” (the constantly updating list of hottest posts, found on Reddit’s homepage). The default ranking for all sub-reddits is by popularity, so posts with more up-votes and comments have a greater chance of being seen. Be warned that users can also down-vote posts into obscurity if they find them uninteresting, or identify them as obvious marketing ploys. This social media platform isn’t about how many friends you have – it’s about posting content that other users find unique, interesting, funny, and relevant to their interests. Reddit won’t be the best match for every brand, and risks include posts being flagged as spam, getting abused in the comments, or down-voted to never be heard from again. Don’t let this scare you off! There are certain topics that excel on Reddit, such as gaming, technology, science, music, educational stories, food, fitness, and more. It’s also a great opportunity to reach a large audience; Reddit had 43 million monthly active users in 2012, and got more than 3 billion page views in August of that year. 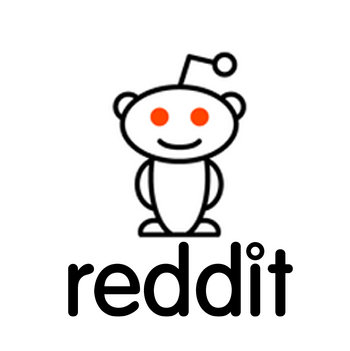 Reddit users are highly engaged on the site, and can spend hours at a time clicking through links and images. The reward of being able to determine what it is your Reddit audience wants and then delivering it to them will be a huge surge in traffic. As with any marketing tactic, the most important thing is to consider who your target market is and whether or not they’re likely to be on the site (look at user demographics). Sub-reddits allow you to target niche audiences, so it’s important to post in ones that are relevant to your business, product or industry. Picking a sub-reddit with higher traffic will help your post to be seen, so choose ones that are consistently being updated with new content. Customize how your front page looks by subscribing to relevant sub-reddits, and then monitor what types of content is most popular within your target area. To have the best experience, invest time on the site finding out what users are interested in, posting great content such as photos, videos, as well as up-voting and commenting on other users’ posts. There are general sub-reddits that have a high traffic volume and can span many different topics, such as /r/todayilearned (interesting facts or tidbits of info), /r/askreddit (ask Reddit users for their ideas, opinions, or stories), or /r/askmeanything (a single user is ‘interviewed’ by replying to comments on a specific AMA post). Numerous high profile business leaders and celebrities have done AMAs to spread awareness for causes or projects they’re involved in. The example of Woody Harrelson’s disastrous AMA compared to Gerard Butler’s success – both done to promote upcoming films – shows the difference between truly engaging with users versus blatantly marketing to them. If you’re interested in reaching Reddit’s audience, but don’t have the time to commit to maintaining an account, there’s also an option for more traditional on-page advertising that can be targeted to specific sub-reddits. Although Tumblr and Reddit are both focused around sharing great content, Tumblr is much more like a traditional blog. But don’t make the mistake of dismissing Tumblr right away just because you already have a company blog. The posts that do well on this platform are short, sharable, and visual. Although publishing a longer post every few weeks can make you stand out on Tumblr and give your follows more to talk about in the comments, it’s better to save text-heavy posts for your blog. Tumblr is not a space for you to constantly push out advertising and marketing messages – no one wants to follow a brand that fills their dashboard up with spam. It’s also not just about posting content, but also curating it by sharing other users’ posts. Just like with Reddit, the key is to determine what your audience is interested in, and then give them that type of content. You can’t be all things to all people, so keep your focus on Tumblr narrow. Sephora is a great brand to look to as an example. Their blog is filled with highly relevant content, and they always have a visual element accompanying a text post. They reward customers for visiting their page with plenty of style tips and how-to tutorials (featuring Sephora products of course). Not only are they engaging consumers, but they can drive traffic back to their website with the message “Shop Sephora.com” at the top of the page. 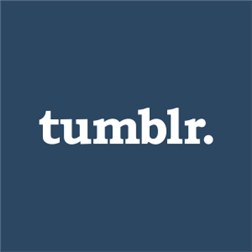 Beyond the content itself, there are a number of other best practices for marketing with Tumblr. Use tags to make your posts discoverable through Tumblr’s search, and post during peak hours to increase the chance of your content being found. Make your blog accessible to non-users by allowing consumers to subscribe to you via RSS or email, and install Disqus so that anyone can post comments. You can also create categories (as Sephora has done) to keep people exploring your blog for longer. Don’t forget about SEO – optimize page titles and meta descriptions, create custom post URLS, name image files and fill out alt attribute keywords. What do you want to achieve with your Tumblr blog (e.g. increase awareness, revenues, customer education)? Who will be responsible for running the blog? Who is your audience, and what will be the focus of your blog? Are you able to commit to this new social media platform in the long term? I hope this post has started you thinking outside the social media box! Promotional items are great advertisement for your business. Offering “freebies” printed with your company’s logo and contact information does double duty. First of all, it gives the customer a sense of getting something for nothing. Everyone loves a free item, and giving potential customers an item as simple as a keychain or coffee mug creates a feeling of goodwill toward your company, making customers more likely to do business with you in the future. Secondly, a promotional item serves as corporate advertising for your business. Every time that pen, coffee mug or promotional keychain is used, your company’s name and contact information is on display. This puts your business first and foremost in the product user’s mind. Promotional items are commonly offered at trade shows, during special business events and sales or even just as a bonus given at the check-out counter or sales desk. 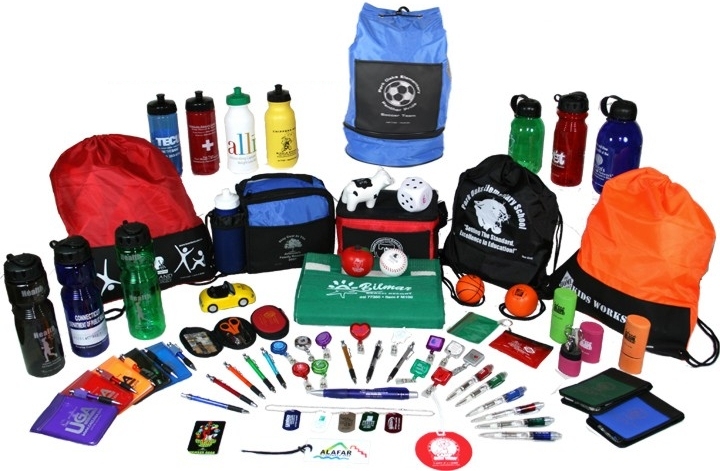 Nearly any type of company can utilize promotional products to their advantage. It is, however, important to tailor the particular item offered to the type of business that offers it. A construction company attempting to do business with high-profile contractors and clients may not want to offer a keychain, which would rarely be used in the business, but perhaps a coffee mug or a hat emblazoned with the company logo. Likewise, a bank would do much better giving out pens then it would handing out bumper stickers. Think about who your ideal customer is, and then find a promotional product to suit them. With traditional advertising mediums such as print ads or television spots, you are required to pay a premium every time your ad is run. Promotional items need only be purchased once, and their advertising value increases every time the product is used, worn or displayed. Ideas for these items are nearly unlimited and can include things like apparel, calendars or notepads, writing utensils, coffee mugs or tote bags. Anything that can be printed with company information is free game. Promotional items are a great way to spend your advertising budget. They provide long-lasting publicity at a low price. Offering promotional products at your next retail event or trade show can drive sales, increase business and lead to new customers. Social Influence: Do Brands Have Your Number? If you’ve ever wondered how much influence you have online, Klout, Kred, and PeerIndex are here to provide you with answer in the form of a numerical score. All three websites similarly define influence as the ability to drive or inspire action, and use information from your social media accounts to determine exactly how much social media influence you wield. Although each site uses different algorithms to calculate your score, all three take the approach of quality over quantity both in terms of your number of friends or followers, as well as the amount of content you post. Interactions and audience engagement are the keys to having high amount of online influence. To better compare these sites, it’s important to have a solid understanding of what each has to offer. Klout provides users with an overall online influence score ranging from 1 to 100 (with 100 being the most influential). To determine your score you’re only required to connect one of your accounts, but have the option of connecting any (or all) of the following: Facebook, Twitter, Google+, LinkedIn, foursquare, and Wikipedia. Klout measures engagement in the form of mentions, likes, retweets, +1s, comments, and so on, as well as examines who is engaging with your content and who they’re sharing it with. Key features of your Klout profile beyond your score include a display of your most influential moments, and a list of topics which you or anyone else can add to your profile to better reflect what types of content you share. 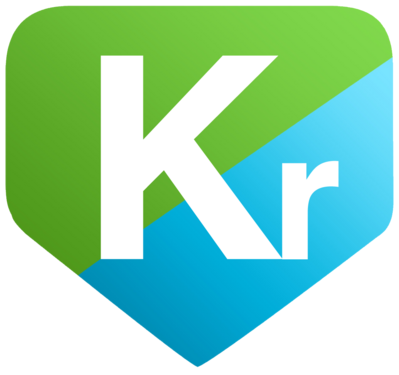 By connecting your Twitter and / or Facebook account, Kred will provide you with two different scores. Your influence score is out of a possible 1,000 points, and is based on online interactions such as retweets, replied, mentions, likes, shares, and even event invitations. Your cumulative outreach score represents how generous you are online, and takes your retweets, replies, mentions, and likes of others into account. Similar to Klout topics, your Kred activity page features the communities you are a part of (such as “Fashion,” or “Marketing”) and gives you influence and outreach scores for each. Your activity page additionally displays recent users you mention, users who mention you, most used hashtags, and both you and your friends most retweeted posts. Out of all three options, Kred has made their scoring process the most transparent, helping users understand how their influence and outreach points are being generated. 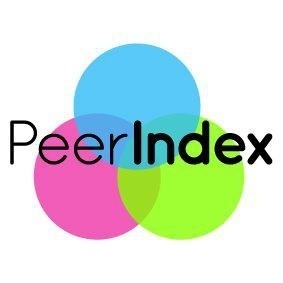 Like Klout, PeerIndex provides users with an influence score ranging from 1 to 100, based on interactions from Twitter, Facebook, Quora, LinkedIn and / or your personal website. PeerIndex measures your knowledge and authority in various subjects by analyzing how you share content on any given topic. This authority is then affirmed when others retweet, share or Facebook, or otherwise engage with your content. This provides users with a list of “Top topics” accompanied by a topical PeerIndex score. Unlike Klout and Kred, other people cannot impact which topics are associated with your profile directly through the PeerIndex website. Currently, PeerIndex does not have a feature similar to the way users can give other people +Kred in a specific community or give +K on a particular topic through Klout. While all three options use Twitter and Facebook to calculate influence scores, Klout has the most options for connecting additional accounts; depending on how many other social media websites you’re active on and connect, this could mean higher scores on Klout and PeerIndex than on Kred. However, since all three options offer their measurement services for free I recommend signing up for all of them to maximize the amount of data you have on your online activity. Your Kred activity page is updated in real time, while you Klout and PeerIndex scores are updated daily; however, PeerIndex warns that certain analyses happen weekly, so it may take up to a week for changes to be reflected in your score. No matter which site you use, fairly constant and continuous involvement is required to keep your score from dropping. Need another incentive to join beyond analyzing your social media interactions? All three options offer rewards for high influencers ranging from exclusive discounts to entirely free items. 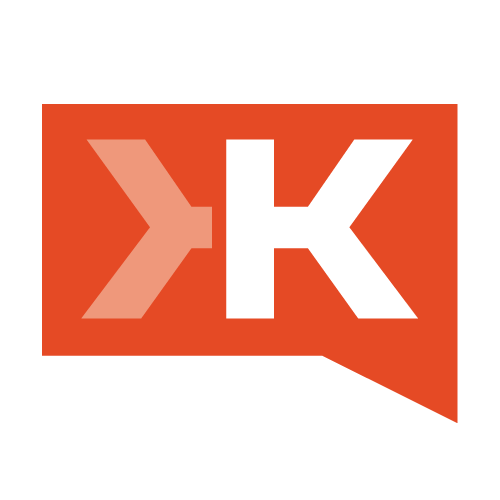 Klout Perks are rewarded based on your score, topics, and location. Kred rewards are similarly given out based on your communities and location. PeerPerks are available to users based on influence scores, and are featured on your homepage as soon as you sign in. How Legitimate are these Tools for Measuring Social Influence? If you are having a hard time getting opt-ins to your mailing list, or just feel like there is room to increase the percentage of visitors that sign up then you will want to read this. Learn some great tips on how to get more opt-ins to your mailing list. The first thing that you want to look at is the placement of your opt-in form. Remember, if you want a lot of people signing up you need a lot of people to see it. One option is a pop-up, although these can be quite intrusive. If you decide to go without a popup you will still need to place it somewhere on the page where readers view. It is widely known that people start in the top left of the web page, read across, and then skip down to the body. This makes an opt-in form being placed in the top left corner, or in the main body an ideal choice. In addition page exit pop-ups work well. If a visitor is already leaving your page why not try to snag them one last time? The next thing that you need to do is sell your opt-in form. Don’t just tell them to sign up for some great spam mailings or site news, offer something great. Many people will write a quick 5 page ebook and offer it through a mailing. This way folks will sign up just to get the ebook and hardly any of them, even if they are not interested in future mailings, will request to be removed from your list. Provide something of value, for free, and your percentages of opt-ins will increase in no time. One other strategy for getting more of your visitors to opt-in to your mailing list is to spice up the appearance. Use colors, make a nice border. Don’t just leave it plain, use graphics. It is also a good idea to incorporate your logo right into your opt-in form. The more you make it stand out the better chance you have of people noticing it, and thus signing up. The final thing that you should take into consideration is pushing your opt-in form whenever possible. If you offer an ebook, as an example, include it at the end of your ebook. In PDF files you can throw lots of elements like this in. 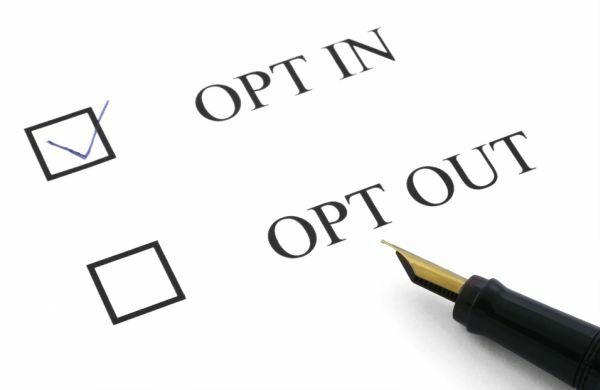 Hopefully you can use at least a couple of these different methods to help increase the number of signups to your opt-in list.